Trust: It’s the primary currency in the relationship between brands and customers. To cash in this currency, you must first earn it. This is especially true in the automotive sales industry because of the overwhelmingly strong public perception that car salespeople aren’t trustworthy. While some dealerships have earned that reputation, it doesn’t mean your dealership has to live with it. As a digital PR coordinator here at Stream Companies, it’s my responsibility to handle this reputation and trust management process for many clients when they don’t have the resources/desire to handle it internally. First, let’s look at where these reviews live. Check whether your dealership is already on these sites. If not, create accounts for your dealership with the most recent name, address, and phone number. The goal is to make sure that your customers can find you easily if they decide to review you. Keep the URLs of each review page handy because you’ll need them later. Asking for the review is key to reputation and trust management but only half of the equation. The clients with the most success in garnering new positive reviews have an internal process to ask for reviews after the sale. Some have a manual process and some have an automated process, but both achieve the same result: more frequent positive reviews. Now this doesn’t mean that all of your reviews will be positive. It just means that you’ll have more frequent and more recent reviews. Have the salesperson ask for a review right after sale. Typically the salesperson would be armed with some sort of collateral to give to the customer with the links to your review pages. Some review sites, such as DealerRater, send you pamphlets with your DealerRater information to distribute. Having this process in place and enforced not only helps you get more reviews, but also keeps your sales team more honest and transparent with the customer throughout the sales process. They’ll be on their best behavior because they know that there could be a potential negative review about them if they don’t. Send automated follow-up emails. This is relatively easy to do because most dealerships already have automated post-sales follow-up email blasts integrated with their sales back end. If you don’t have that process set up, I suggest looking at email marketing platforms such as AWeber Email Marketing to fulfill those needs. All you have to do in this email is thank the customer for their business and request they take the time to fill a review, providing them with all five links to your review pages. If you notice that you’re getting a lot of reviews on one platform and not the other (Yelp more than Edmunds, for example), you can modify the email blast to incorporate only the Edmunds page link or others to suit your needs. Where there’s a negative review, there’s an opportunity to learn and improve from mistakes. There’s also an opportunity to turn a negative experience into a positive one with great customer service. This is the most arduous part of reputation and trust management. The goal here is resolving the issue and making the person happy so they update their review to a positive one. Most of the time, you’re dealing with current or potential customers who are fairly upset about their experience. This is where you want to reach out to them to correct the situation. Each platform has different ways to reach out. Yelp and DealerRater, for example, allow you to direct message the reviewers. First, you want to publicly address the review to what the situation is and then ask them to follow up with whomever you chose to handle these. Typically I send the negative reviews to either the sales or service managers, depending on the situation. Once you publicly address the situation, you should private message them as a follow up if the review platform allows. You may also know who the person is by the situation or the name of the reviewer. In this case, follow up with them with their direct contact information (if you have it). Assuming that you made this reviewer happy with your excellent customer service, don’t be afraid to subtly ask them if they can remove or update their review to reflect the resolution of their issue. 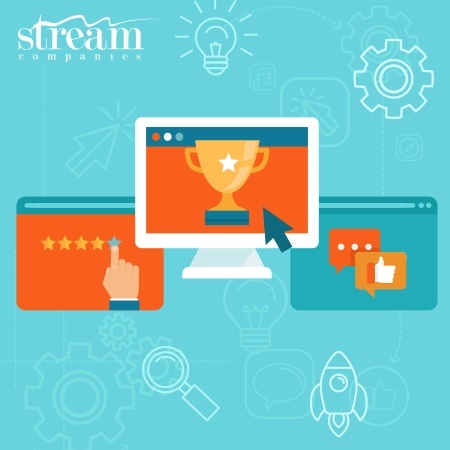 Does your dealership have an internal process for generating and handling reviews? What have you done to make it successful? Let us know in the comments below! — Charles Bodner is a Digital PR Coordinator at Stream Companies, a full-service Philadelphia-area advertising agency.